For dedicated, demanding hydroponics gardeners like you, a supreme moment of satisfaction comes when you’ve worked hard to bring in a harvest, dried and cured it, and finally sit down to savor the taste and aroma of your latest flowers. There’s that feeling of pride and reward as you savor the deliciousness of your crops with your friends and family. As you’re aware, your plants grow by absorbing compounds from nutrients, water, and the atmosphere. These compounds become part of your plant tissues. As your plants age, they accumulate excess nutrient salts and other substances that decrease the quality and value of your end product. At times, this accumulation is visible as overfertilization or other crop failures. More often, it is an unseen burden that infiltrates your crops from the inside out. This insidious burden causes crops that have offensive taste and odor; crops that burn with black ash or are hard to keep lit; and crops that irritate and damage your respiratory system, causing coughing and other health issues. Can you recall a time when you almost coughed your lungs out? It was polluted crops that did it. Many growers try “flushing” their crops or they use all-organic nutrients to deal with accumulated salts that affect finished crop quality. Unfortunately, most forms of flushing, or the use of all-organic fertilizers, does not purge crops of harsh residues. For one thing, the most common way that growers flush their crops is by giving their crops water that has no nutrients in it. But this doesn’t fully cleanse your crops. It only starves your plants so they lose vigorous floral growth and resin percentages just before harvest. Other growers use flushing formulas that generally consist of a few chemicals that sometimes have the ability to pull a limited amount of residues out of your plants. 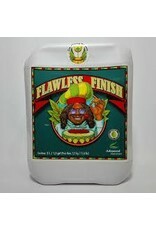 These primitive flush formulas remove plant nutrition, resulting in smaller harvests and decreased harvest potency. Not only that, but they don’t provide the full-spectrum, value-enhancing cleanse you’re looking for. Truth be told, the stuff that stores in your plants comes from fertilizers, water, and the atmosphere, and organic fertilizer has no crop-cleansing properties in and of itself. Fortunately, there’s a better way to ensure that your harvests are crystal-pure. The process of totally cleansing your flowers begins 4 to 10 days before you intend to cut them for harvest. 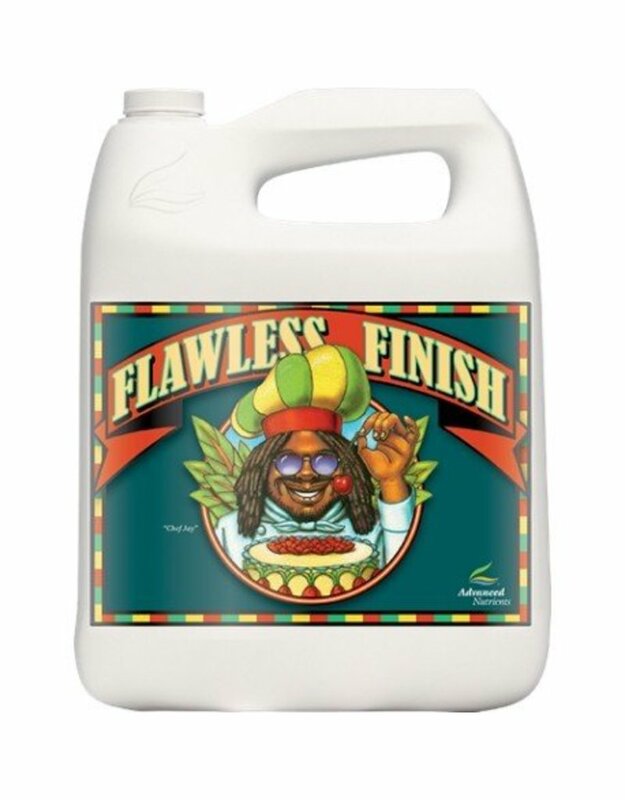 At that time, you drain your reservoir, fill it with fresh water, and add just one formula: Flawless Finish, the only flushing formula ever specifically designed and tested to provide complete, value-enhancing cleansing of the specific type of plants you grow. 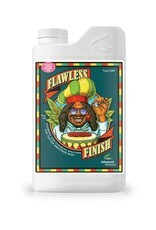 By the way, it’s important for you to realize that Flawless Finish is the only formula made for your plants. That’s important because different species of plants respond in different ways to pre-harvest flushing, and because the testing and design of hydroponics flushing products has a direct bearing on whether those products work for you or not. 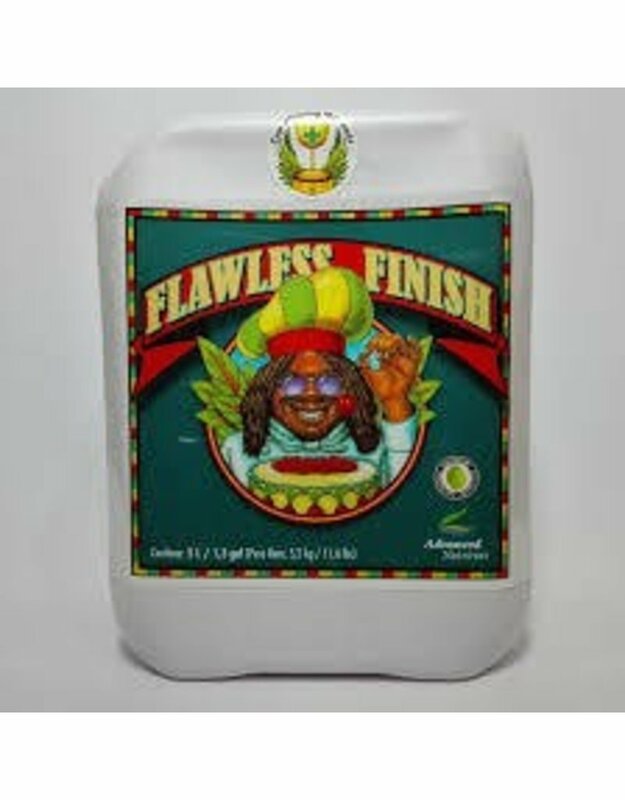 After you have added Flawless Finish to your plants’ water supply, allow it to circulate for the duration of your flushing period. As proven by thousands of tissue samples taken from the exact type of plants you grow, this procedure results in crops that are almost totally purged of excess salts and other burdens. What’s A Chelate And How Does It Make Your Harvests More Valuable? How does this amazing process work to free your plants and make them more valuable? 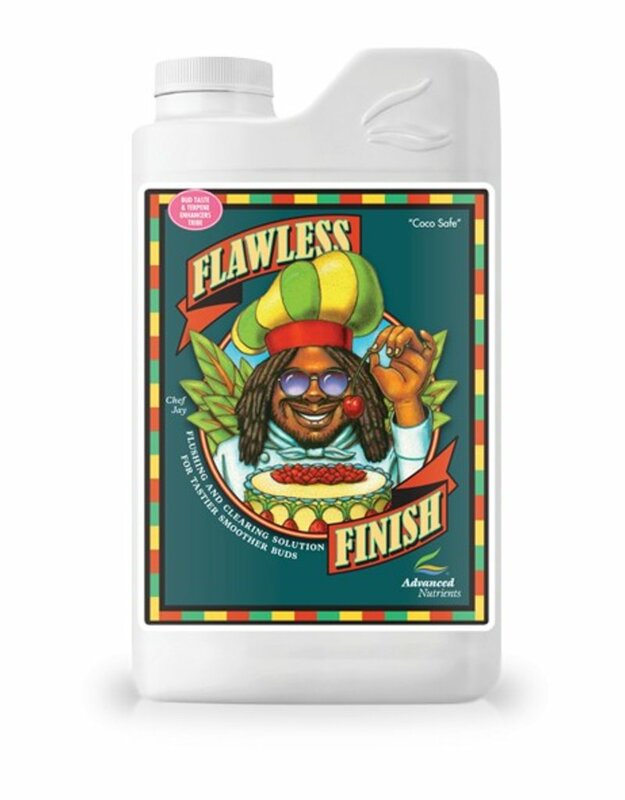 If you could see down to the molecular level, here’s what you’d witness: Flawless Finish contains a broad range of ingredients known as “chelates.” Chelates are like chemical “claws” that can grasp other materials, such as individual nutrients, and bind to them. Some of the chelates enter your plants and create a downward mobility of excess salts that exit your plants and are washed into the Flawless Finish/water solution.Inside your plants, from the time of flushing until harvest time, your plants are consuming on-board nutrients and otherwise purging themselves of unwanted residues.By the time you harvest, your plants will be free of at least 85% of the stored materials they held before flushing. Now that you’ve flushed your plants, what can you expect from your harvest? To start with, your Flawless Finish crops cure better and faster, with less susceptibility to storage diseases such as molds and fungi. You’ll notice that your curing crops smell better and maintain a more pleasing appearance. Better yet, essential oils and other resins will be preserved so your flower clusters are more potent. But the real test comes when you first taste your Flawless Finish-flushed crops. Imagine your delight when you get a smoother, sugary taste that’s accompanied by enchanting scent and other highly potent effects. That’s the Flawless Finish difference. The key thing here is for you to get Flawless Finish today and update your garden calendar to remind you to use this uniquely effective formula a few days before harvest. 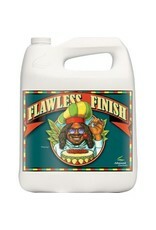 Your friends, family and other growers will notice the positive difference you create using Flawless Finish.